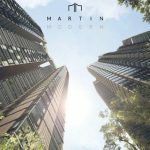 The executive condominium will outshine those that neighbor it due to its affordable, luxurious, and comfortable lifestyle that will be enjoyed by its future buyers. The most exciting fact about this condominium is its waterfront frontage since it is next to Punggol Waterfront. This will give the residents a breathtaking view of the river. Rivercove Residences provides an opportunity to live in a location that is surrounded by well-maintained facilities whose potential would interest future residents and buyers. This property is close to many amenities including academic institutions, shopping centers, transport and recreational areas.